What is a bubbling in the bowels? Bubbling sounds from the bowels are a result of gas and fluid movement within the intestines. The bowels are not silent as is often thought. There are sounds constantly emanating from most of the gastrointestinal tract particularly from the stomach all the way down to the end of the colon. These bowel noises are considered to be normal and are a sign of activity within the intestines. It is medically referred to as borborygmus or borborygmi (plural). In most cases the bowel sounds are not audible for the majority of the time. Occasionally strong contractions or gas in the bowels may cause louder, audible sounds. This is just a momentary change in bowel activity and occurs as a once off episode. However, persistently loud sounds of any kind from the bowel may indicate a hyperactive bowel which means increased activity within the intestines. Sounds in the bowel are due to three factors – fluid, gas and movement. Movement : The gut is constantly moving food and waste by the action of strong muscle contractions in its wall. These contractions squeeze and push food and waste to each part of the gut where it undergoes different process – digestion, nutrient absorption, water absorption and waste formation. Water : The large quantity of water that normally exists in the upper bowels is to help with nutrient absorption and movement of material in the bowels – fluids are more motile than solids. It is secreted from the wall of the small intestine into the lumen. However, this water needs to be conserved by the body and is reabsorbed in the colon. Gas : The gas in the upper gut mainly arises with air swallowing during eating and with drinking carbonated beverages. Some of this gas passes further down in to the bowels although most is expelled with belching. Chemical digestion and the action of bacteria within the bowels further adds to intestinal gas. It is usually passed out as flatus. The following video provides a useful guide to normal and abnormal bowel sounds associated with different diseases. It is based on the medical training simulators used for educational purposes. The material that enters the colon from the ileum (last part of the small intestine) is fluid. Its passage into the colon is carefully controlled by the ileocecal valve. This material passes up the ascending colon, across the transverse colon and down the descending colon where it is converted from a fluid into a solid known as feces. It is mainly due to the reabsorption of water from the bowels back into the bloodstream. there is a larger than normal amount of gas in the bowels. All these factors are a part of diarrhea as well. Therefore persistent or excessively loud bubbling with bowels can signal the onset of diarrhea or be present while a person has watery diarrhea of any cause. 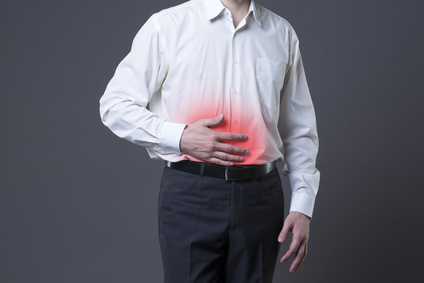 Bubbling sounds may also be emanating from the upper gut particularly the stomach as discussed under stomach noises. Diarrhea is a symptom that has many causes. It is mainly due to increased water content within the bowels and/or hyperactivity of the bowels. Bubbling in the bowels is a common symptom that precedes diarrhea and continues thereafter until the diarrhea resolves. Irritable bowel syndrome (IBS) is a condition marked by abnormal bowel habit which appears to be due to rapid or slow intestinal motility. With diarrhea-predominant IBS the bowel motility is faster than normal and muscle contractions are also stronger. The rapid motility reduces the time food and water is in the bowels thereby reducing water absorption. 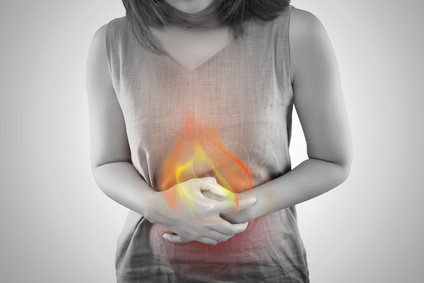 Inflammatory bowel disease (IBD) is a chronic condition marked by inflammation of the bowel wall which may extend all the way to the upper part of the gut in Crohn’s disease. Diarrhea is the predominant symptom with watery stool, mucus in the stool or bloody stool. The absorption of nutrients is also disturbed thereby allowing a larger quantity of water to remain in the bowels. Food-related bowel disorders include food allergies, intolerance and malabsorption. It is related to specific foods or food groups which leads to a host of symptoms including bubbling in the bowels. Food allergy is an abnormal and exaggerated immune response to the ingestion of certain foods. Food intolerance is an inability to digest certain nutrients due to a defect or lack of specific digestive enzymes. Food malabsorption is a disorder with the absorption of certain nutrients. Infectious bowel diseases may include gastroenteritis (stomach and small intestine), enteritis (small intestine) or colitis (large intestine). Food poisoning is the irritation and inflammation of the bowels caused by the ingestion of toxins from microbes or parasites in contaminated food or water. Substance misuse may cause direct irritation of the intestinal wall when ingested or increase nerve and muscle activity of the bowel when in the bloodstream. This includes substances such as alcohol, nicotine, caffeine, narcotics and prescription drugs. Poisoning with the ingestion of any toxic substance can inflame and damage the bowel tissue and have numerous local and systemic effects. The bowels may attempt to expel the toxin through vomiting and diarrhea. Last updated on September 29, 2018.